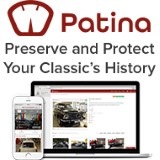 Jeepworld is a world renowned website and specialist dealer in Jeep and military vehicle books. Run by Mr Jeep himself, Mark Askew, his range of books and information is absolutely fantastic. Mark himself has written many books over the years on all types of Jeeps, though mainly the military types, and must have accumulated thousands of rare photos of Jeeps in action. Mark is also famous for many Jeep and 4×4 shows across the UK, including Jeep & Cheerful and Jeep Fest, which are attended by many Jeep enthusiasts from all over the world. Finally, Mark has also launched Jeepezine devoted to…..Jeeps of course !!! You are currently browsing the Military items | Military vehicles | Military trucks | Military Badge Collection weblog archives for the 'Publications' category.